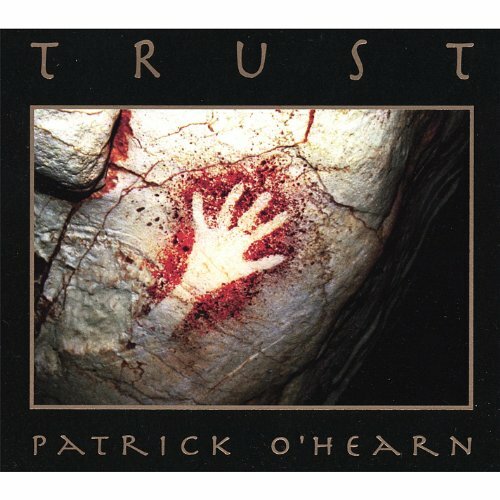 In 1993 I had the good fortune to meet musician Patrick O'Hearn. His oeuvre includes performances as a bassist for Frank Zappa, and later, Missing Persons. Afterwards, O'Hearn released a seminal series of solo albums on Tangerine Dream's alumni Peter Baumann’s Private Music label. O'Hearn finally left Private Music and set sail on his own private label venture. It was an exciting time both artistically and technically. I had been pushing the bleeding edge with - what did we call it in those days? - ah, yes - multimedia (the original Macromind Director). And, the internet had just exploded on the scene. Self-publishing was more accessible than ever. Having your own music compact disc manufactured was now feasible. Patrick, having seen a sampling of some of my multimedia work, extended to me the opportunity to be a part of what would become Deep Cave Records. I visited him at his studio where he generously auditioned his work-in-progress - later released as Trust. It just blew me away! He asked me if I would be willing to do the album art for the new release. That was a no-brainer! I jumped at the chance. The only problem was, I had no practical prepress experience. Still, Patrick was willing to go out on a limb with me. Of course, much more was needed than album cover art. A whole new brand was needed. Business cards, letterhead, a website (yes, even in 1994), press releases, one-sheets, and advertising - the whole package. Patrick had a very clear vision of what he wanted. He was a real delight to work for. Even when I made a few missteps away from his vision, he gently nudged me back on target. My first task was to take sketches by Emil Schult to create a logo for Deep Cave Records. Emil Schult had been involved for some time with producing Kraftwerk's album art. I made a digital scan of each of Emil's typeface characters and also scanned his sketches of a man holding a torch in a cave and several hieroglyphics. The scans were then processed and converted into vector art by an application whose name I've long since forgotten (essentially the Live Trace function found in current versions of Adobe Illustrator). I laboriously cleaned up the vector art versions of Emil's work - careful to preserve the integrity of his art. Those elements became the new Deep Cave Record logo. Of course, that art was repurposed in letterhead, business cards, and advertising copy that I designed and produced. We came across a remarkable series of photographs taken just a few years earlier at a new cave find: Cousquer Cave. Pristine prehistoric art was found similar to those in Lascaux Cave. We secured the rights to several slides for use on the album. I had high resolution scans of the slides burned to a CD by a local prepress shop. One of the images - a hand masking paint evidently sprayed either from the mouth of the artist or perhaps a straw - was the image Patrick and I kept gravitating to. It's a striking image that reaches across thousands of years. It's an iconic image that captured the mood of the album. And as a practical matter, I felt the image would capture the eye of potential customers as they browsed the CD bins of their favorite music or book store (you do remember CD bins don't you?). One of the decisions Patrick made early on was to use the patented Digipak cardboard packaging instead of the ugly plastic jewel box that was the standard for compact disc packaging. You could say Patrick was one of the pioneers of "green" CD packaging. For do-it-yourselfers though, the Digipak was a formidable challenge in those days. For one, it wasn't cheap! And the prepress work was rather tedious. The publication of Trust in the Digipak predated the time where you could just FTP a digital art file and be done with it. Instead, I had to create film and a proof print at considerable cost. Also, we decided to make the album really stand out with the use of a gold foil stamp. If I recall correctly, the film and proof costs for just the Digipak cost over $600 to produce. Considering that I had not done any prepress work up to that point, I was very nervous about the outcome. Patrick had gone out on a very long limb on this project. Failure would be costly. And my reputation would be shot. Hey, no pressure! After several weeks of anxious waiting, the first proof Digipaks arrived. Patrick called me with the news. They were beautiful! Deep Cave Records was now ready for the inaugural launch of it's first release: Trust. Trust went on to be nominated for a Grammy in 1995. That was Patrick's second nomination for a Grammy. Though Trust did not garner the Grammy, the album did go on to win two NAIRD Indie awards. Patrick won "Best Album" and I picked up the "Best Cover Design" award! We were elated at the accomplishment. "Best wishes and good luck with your new label! (great cover !!!)" Short and succinct but it meant a lot to this first-time album cover graphic designer and art director. As Pat said to me in that email, "a fella should be proud... good work Carl!" In time we also released a cassette version (which would also be the last cassette art we would do). When was the last time you bought a cassette? In the end, while there were many accolades for the use of the Digipak, it proved to be too costly. So, later that year, I produced a new set of film for the traditional plastic jewel case. I also created Patrick's first website: deepcave.com. I have to admit that it was - in retrospect - a rather amateurish attempt on my part. But, boy those animated GIF flaming torches were cool! The deepcave.com domain now belongs to an interesting fellow, David Shaw, who is an underwater cave explorer - a fitting resting place for the Deep Cave moniker. The following year, Patrick released Metaphor on the Deep Cave Record label. It would prove to be the last album released by Deep Cave Records. Patrick asked me to do the album cover for Metaphor, but unfortunately at the time I had a heavy work load with several other customers and wasn't able to take on the work. I felt really bad about not being able to accept that assignment, but Pat was gracious about it. He used Norman Moore, who had done beautiful design work for Patrick's earlier albums. In fact, the latest album by Patrick - Glaciation- returns to the Digipak format with a gorgeous design by Norman Moore featuring stunning iceberg photography. In 2000 Patrick asked me to do one other album cover. By then, Deep Cave Records was no more. Problems with distributors led Patrick to, as he says, "cut my losses and leave the poker table." The old distribution model just wasn't working anymore. Patrick and I had many conversations about the future of music distribution. Patrick felt strongly that do-it-yourself distribution via the internet was the wave of the future. He decided to create a new label: patrickohearn.com. The first album on the patrickohearn.com label was So Flows the Current - which I once again did the graphic design and art direction. 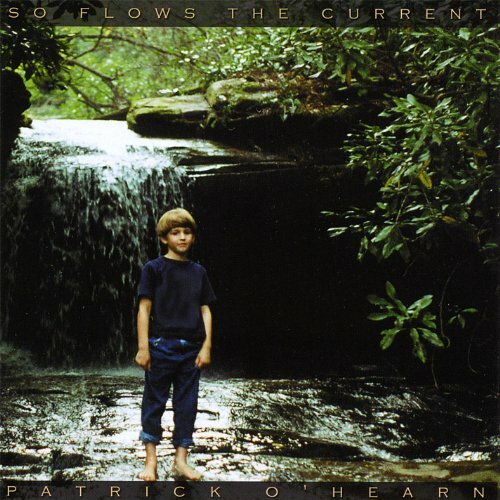 The album cover features a photograph that Patrick took several years ago of his son. The back side of the album and the interior fold features one of my own photographs of a flowing stream. I have to say that Patrick was one of the most enjoyable people I have had the pleasure to work with. I look forward to enjoying new music releases from him for many years to come.